Ever Rich Exclusive Brands | Ever Rich | Enriches Your Ever Trip! 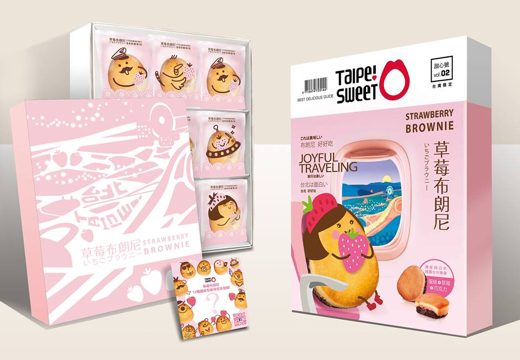 Ever Rich and the popular Japanese souvenir sweet brand, Tokyo Banana have collaborated together and released Taiwan-only sweets, Taipei Sweet Pineapple Brownie and Taipei Sweet Strawberry Brownie - they are delicious sweets with kawaii packaging and exclusively sold at Ever Rich. Taipei Sweet Pineapple Brownie is made with Taiwan-grown pineapples, using techniques of making Japanese wagashi. The combination between pineapple and chocolate creates a tart and sweet flavor. 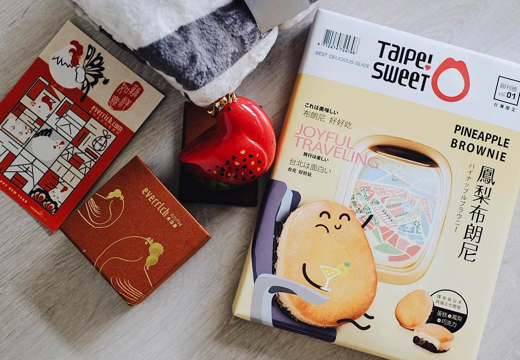 With the cute packaging, our Taipei Sweet Pineapple Brownie might just be more popular than pineapple cakes! Our Taipei Sweet Strawberry Brownie is also a popular choice for souvenir. The dainty taste of strawberry twines with the rich texture of chocolate; its delicate ambrosial savor will remind you of being in love! Hocha, the word 'delicious' in Taiwanese Hokkien, is the derivative inspiration for our Taipei Sweet Hocha Collection. Made with various dried vegetables and fruit - all locally grown in Taiwan, Taipei Sweet Hocha Collection supports domestic agriculture and gives consumers the most exquisite taste of Taiwan' s vegetables and fruit, with no additives. Our jerky, dried shredded squid, cashew nuts and other food products are all made with carefully selected ingredients to ensure the authentic taste and your safety. Our snacks will be your best choice of relaxing at home or going on a trip! Our San-Tai-Zi Collection is named after folklore deity, Nezha the Third Lotus Prince. 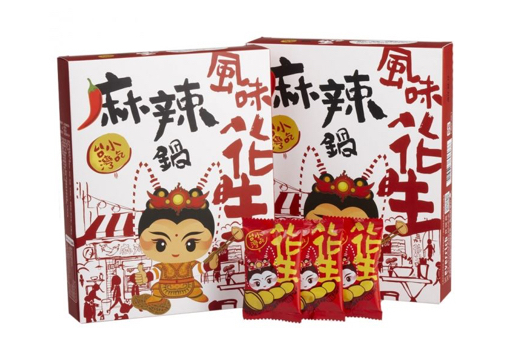 Combined with Taiwan’s folk culture, we use homegrown ingredients and folklorically designed packaging to bring you traditional snacks in Taiwan. 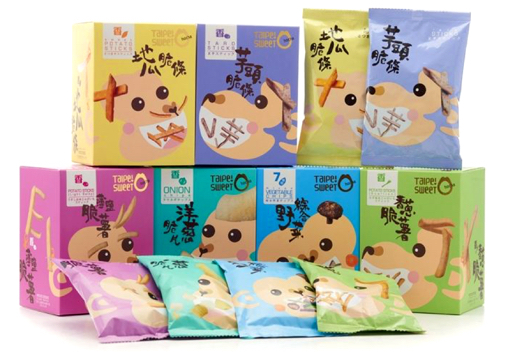 San-Tai-Zi Collection includes pineapple cake, taro pastry, winter bamboo shoot cracker, strawberry cake, mochi, Taiwan nougat, dried fruit and more – all made in Taiwan! 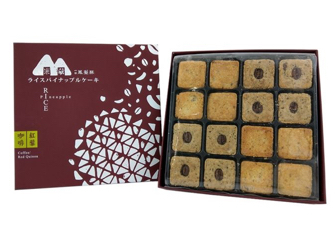 Our pineapple cake is the most popular product in San-Tai-Zi Collection. It is well-loved by foreign visitors and local citizens alike. Have pineapple cakes always been the favorite choice for holiday gifts but ours is definitely re-frequented the most by our our customers. Other than the popular pineapple cake, our peanuts is also one of the most loved snacks! Its savor has been localized and a bite will give you the taste of Taiwan. Snacks like chicken fillet, beef noodles, scallion pancake, spicy hot pot and more are among the favorite pastime snacks, here in Taiwan. 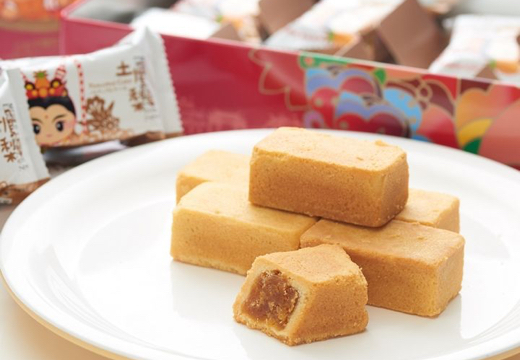 Ever Rich has collaborated with a famous pastry shop in Taitung and some local farmers; together come up with a brand-new one-of-a-kind, made-in-Taitung snack, rice pineapple cake. 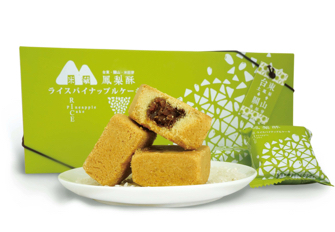 The rice pineapple cake is made with Taitung' s purified rice and Guanshan rice for the crust; infused with nutritious germ rice. The filling uses authentic pineapples in Taitung that give a fibery texture. The combination between rice and pineapple makes a perfect match and a dance in your mouth. 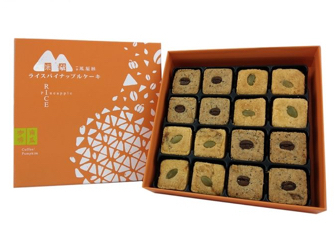 Our rice pineapple cake has 3 different flavors, red quinoa, pumpkin and coffee. All uses natural ingredients and the rice from Guanshan, Taitung. Highly in demand! The rice pineapple cake is made with Taitung' s purified rice and Guanshan rice for the crust.The filling uses authentic pineapples in Taitung that give a fibery texture.